Day 73. Zero in St Arnaud. January 14, 2016. Today I mostly ate and blogged. What else would I do on a zero? 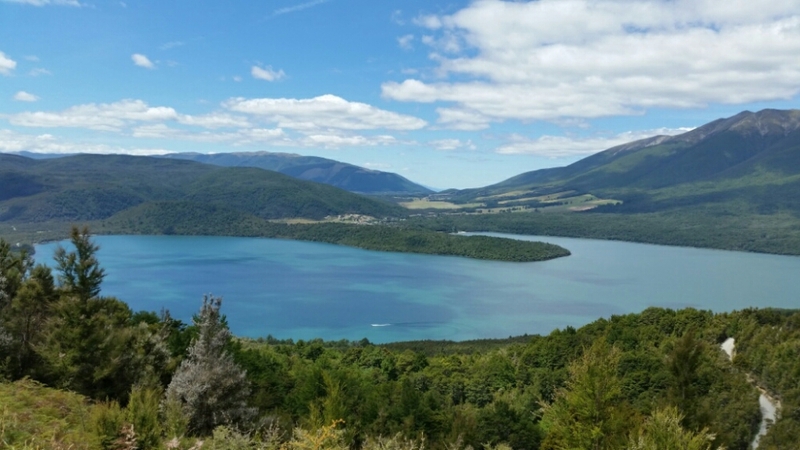 I did walk over to Lake Rotoiti to see the classic view. Too bad 2 boats got in the way. I ran into Alex’s parents. I drove with them up to the end of Mt Roberts Rd to see the view. There are lots more TA hikers in town… the 3 French plus Leo, John and Jennie. I briefly saw Brett, Nathan and Owen after they hitched back from Blenheim. 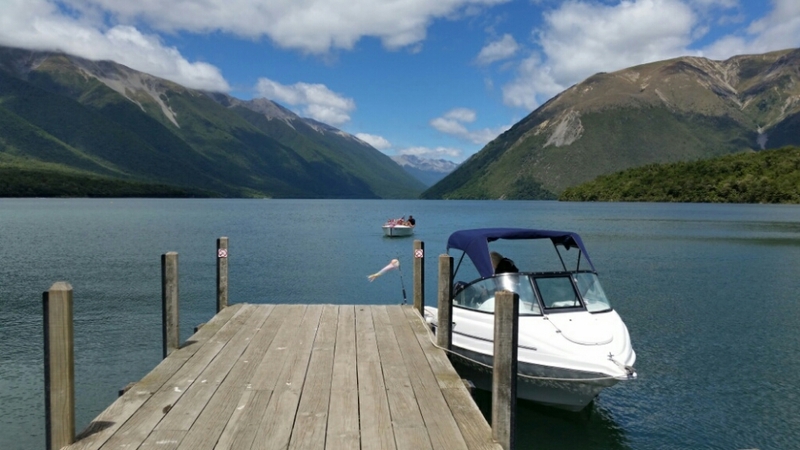 St Arnaud….. Alpine Lodge was a good place to stay. Internet worked intermittently but good enough to get my blog updated. The gas station food is meager and expensive…. definitely wouldn’t want to resupply here. The fish & chips place (only open Wednesday to Sunday) had great hamburgers for $8. The lodge had $20 small pizzas that I didn’t try. Unfortunately I wasn’t here on Sunday when there is an AYCE BBQ. I can’t imagine spending more than one day here. It’s time to leave!